As RBI’s monetary policy committee meets for the October review, the Urjit Patel-led six member team will have a lot to ponder over, given the mind-boggling instability that has rattled investors all over the world. Investors expect a little more from policymakers than merely sticking to the core mandate, given the lethal combination of situations extraordinaire. August meeting outcome: In the August meeting, RBI raised the Repo and Reverse Repo Rates by 25bps to 6.50% and 6.25%, respectively, fearing rising inflation. However, it retained the “Neutral” stance. Inflation projections: RBI has projected CPI inflation at 4.6% for Q2FY19 and 4.8% for H2FY19 with risks evenly balanced. Further, RBI has maintained the GDP growth rate at 7.4% for FY19, as various indicators suggest that economic activity has continued to be strong. However, inflation has been rising since the last one year due to higher commodity prices. CPI reached 5% in June 2018, whereas core inflation breached the upper-limit targeted inflation and stood at 6.35% during the same month. The recent hike in MSP of 150% of the cost of production for all kharif crops for the sowing season of 2018-19 will have a direct impact on food inflation. Threat to macros: The Indian rupee has depreciated ~13.5% YTD against the US dollar and crude oil prices have gone up ~22% YTD. The increasing crude oil price and depreciating rupee pose a significant threat to Indian macros, given that we import 80% of our domestic oil requirements, which can widen the CAD and increase inflation. India's CAD already widened to $15.8bn (2.4% of GDP) in Q1FY19 due to a higher trade deficit of $45.7bn. As RBI’s monetary policy committee meets for the October review, the Urjit Patel-led six-member team will have a lot to ponder over, given the mind-boggling instability that has rattled investors all over the world. Two pairs of words – crude oil and currency depreciation – haunt investors and policymakers alike. Crude oil prices are rising mercilessly ahead of Iran sanctions as Brent crosses $86/barrel. This, along with the NBFC mayhem and concerns over a liquidity crunch in the system, will likely be followed by the unpleasant consequences of inflation and widening current account deficit (CAD) weighing heavily over the market. 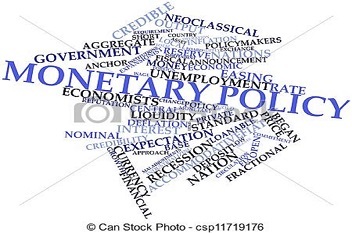 The market expects a little more from policymakers than merely sticking to the primary mandate, given the lethal combination of situations extraordinaire. Investors expect the MPC to go beyond rate hikes to pacify skittish investors. In the current scenario, a case for rate hike seems to be a given, despite liquidity concerns for which the RBI has begun open market operations (OMOs). We expect that the central bank will primarily focus on escalating crude prices, CAD, and accelerating inflation and further hike interest rates by 25bps. Though the RBI has maintained a "neutral" stance so far, it is likely to switch to a “hawkish” stance, which may further rattle the markets. The perplexing situation of tightening liquidity and rising inflation will need to be addressed. The act of infusing fresh liquidity into the system and increasing policy rates (demanded by the current inflationary environment) will require to be balanced by the central bank. Anything less than this may dent sentiment further.